While many bookmakers have been providing the Asian handicap betting option in most betting markets, it is a relatively new concept for most US and Canadian punters. It can be especially confusing due to its complexity, however, when understood, it has the potential to offer greater value for punters. Asian handicap mostly applies to football. BetOnline Asian Handicap Betting offers full, half-point and quarter points spreads and lines. This type of betting work by eliminating the draw option. This means that there are only two betting options, either for the home or away team. For you to win, if you choose the favoured team, it will have to overcome a handicap, while if you choose the opposing team, it has to receive a handicap on top of what they actually score. New customers can take advantage of the 50% First Deposit Match Bonus up to 1000$ for Sports Betting. What is the selection of Asian Handicap bets at BetOnline? While there are not many sportsbooks offering Asian handicap betting options, BetOnline offers this option for most spreads and totals. BetOnline offers its Asian Handicap selection for most football games. What are the Asian Handicap betting odds in BetOnline? As one of the few Asian Handicap Bookmakers, operating for the US and Canada markets, BetOnline splits the amount you bet for a particular football game evenly across both teams. They offer regular full points, half point spreads as well as quarter point spreads. For example, a handicap spread of -0.75 will be written as -1/2, 1. What this means is that the bet is split evenly, with half the amount going to the -1/2 handicap, while the other half goes into the other -1 handicap. For example, if Manchester United is playing against Chelsea and you place a bet of $110 to win $100 with a Manchester United win and they go on to win by a scoreline of 2-1, then you will have won $50. This is because you will have won just half of your bet at -1/2. In another example, if you had bet with Manchester United by placing a handicap bet of 2, 2 ½, by wagering $110 which would win you $100, and Manchester United end up winning 2-0, then you will lose $55 since you won on the 2 but lost out on the 2 ½. However, if the match had ended 2-1, which would mean a total of 3 goals scored, then you would win your $100 because you would have won both parts of the Asian Handicap bet. Does BetOnline provide Asian Handicap bets at Live Betting? BetOnline provides Asian Handicaps at BetOnline Live Betting. However, since they base their odds on regulation, they grade most of their games on what happened during regulation. This means that most of the bets will be graded on what transpires during the normal 90 minutes plus any extra time that may be added on, but not on extra time or penalty shootouts. BetOnline also shows Asian Handicap Lines as quarter points lines. This is in contrast to other sports such as NBA or NFL which only show full or half-point spreads. An Asian handicap bet will be shown with two spreads, for example, -1/2, -1 (0.75) or 2, 2 ½ (2.25). This means that when you wager any of this type of spread, your bet will be split evenly in two, with each half going to each different spread. Are there any special rules for betting with Asian Handicap at BetOnline? Football bets are only taken into account during regulation. This means it takes into account the 90 minutes provided for normal play and any other added time for stoppages. This, however, does not include extra time periods or penalty shootouts. 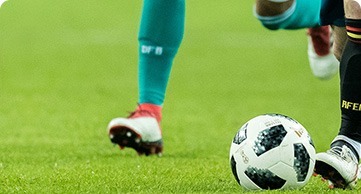 If in any case there is a change in venue, then all wagers will stand as long as the change is not to the opponent’s home ground, in which case the bet will be void. All bets will stand if a postponed game is played within 24 hours of the original kick-off time.